Start by holding the weights together, above and behind your head. 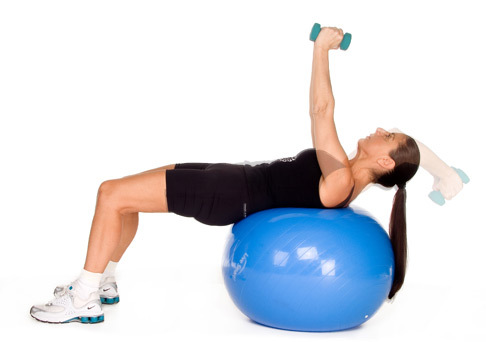 Proceed to slowly straighten your arms, extending the elbows and pushing the weights toward the ceiling. Resume the start position. Repeat 10-20 times.